Novascan Technologies offers gold coating of glass and mica surfaces. 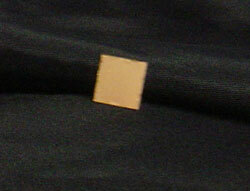 Though not atomically flat, these surfaces will have RMS values of 2-3nm and are suitable for flame annealing. 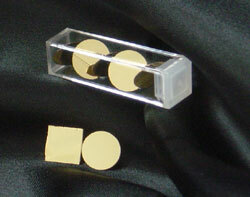 Please inquire about the gold coating of these surfaces in custom sizes.